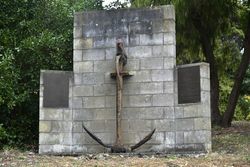 A monument commemorates the unknown people who have died in shipwrecks in the King Island waters. 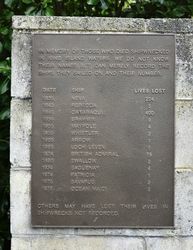 In memory of those who died shipwrecked in King Island waters. We do not know their names but can merely record the ships they sailded on and their number. Others may have lost their lives in shipwrecks not recorded. 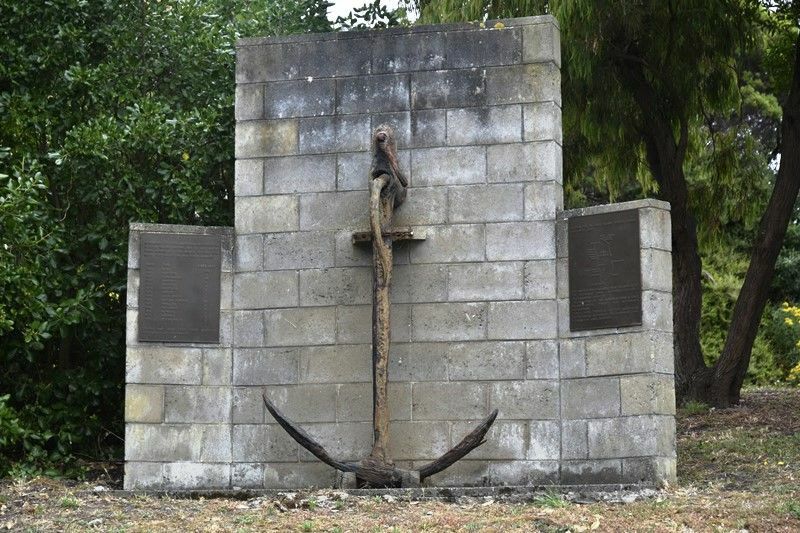 The anchor was salvaged from the wreck of the `Cataraqui` (1845) - Australia`s greatest ever maritime disaster. 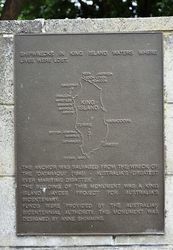 The building of this monument was a King Island Jaycee Project for Australia's Bicentenary. Funds were provided by the Australian Government Bicentennial Authority. The monument was designed by Anne Shimmins.